Residents heading in and out of Little Common are being warned to expect months of delays and disruption due to major roadworks. Two phases of works are due to start on the A259 Barnhorn Road on April 18 ahead of the construction of new homes which have been approved for the area. The first phase of work will see a signalised junction created to access the new ‘Rosewood Park’ development for Barratt Homes and David Wilson Homes. Traffic management measures will be in place 24 hours a day during the initial 10 weeks of the work, which is expected to finish on June 23, subject to reasonable weather conditions. In order to carry out these works, developers are warning motorists that there will be narrow lanes and 30mph speed limits at certain locations, as well as some 10mph restrictions overnight while the re-surfacing work and convoy work is ongoing. Part of the footway will also be closed while contractors Walker Construction carry out the work. 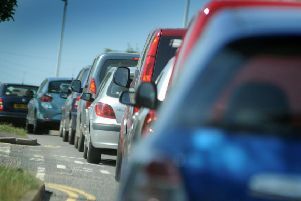 Once the junction work is complete, a second phase of roadworks will begin, which is set to last for a further 12 weeks. These works will see ‘highway improvements’ along the A259 between Sandhurst Lane and the Little Common Roundabout, plus the alteration of the pedestrian crossing on Little Common Road. The developers say that these works will ‘improve road safety, prolong the life of the carriageway, enhance the reflectivity of the road markings and provide enhanced public transport facilities’. Residents received letters from Barratt and David Wilson Homes earlier this month to inform them about the impending works. The letter said: “Every effort has been made to ensure disruption to traffic and residents is kept to a minimum, but there will inevitably be some noise and disruption generated by these works and for that we apologise in advance. It added: “Our road workers frequently work in situations which are both unpleasant and dangerous and we would kindly ask that you treat them with the respect you would wish to be treated with while they are working in your area. “If you do have any issues with the work taking place, our road workers will always try to help you if they are able.